Galway may sit at the far western edge of Europe, but lately the “City of Tribes” has been the center of attention. 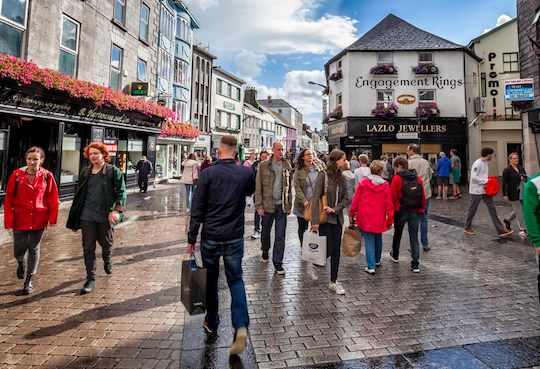 Named a 2018 European Region of Gastronomy, Ireland’s fourth largest city (population 80,000) is gearing up for the next big thing: Galway 2020, European Capital of Culture. Throughout 2019, new community heritage and arts projects, such as pop-up culture cafés and funambulism (tightrope walking) workshops, will be rolling out in conventional and unexpected venues (beaches, fields, remote villages, and rivers) across Galway city and county. Homegrown programs include celebrating the old customs on the wild, unspoiled islands off the Galway coast and “Small Towns, Big Ideas,” an initiative based on the Irish tradition of meitheal (pronounced MEH-hel), or coming together for a common purpose. After the shows, there’s always that gastronomic scene to check out. Galway is especially known for its oysters. Sample some native and gigas oysters on the half shell at places such as Moran’s Oyster Cottage.